This chassis also will allow the use of the original upper deck. 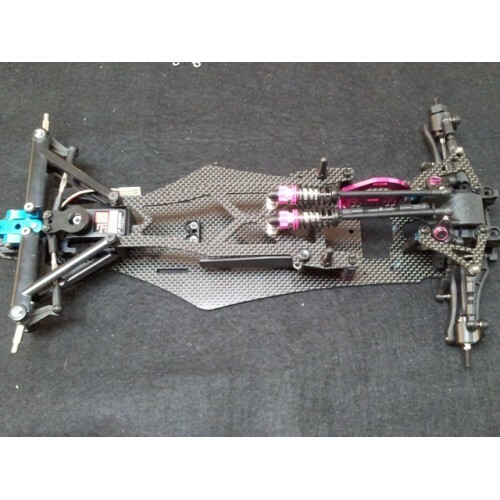 As a direct replacement of the original chassis.HKS Hobby has released a new conversion for the FGX F1 chassis. It feature a 2.5mm carbon chassis and 2.0mm carbon upperdeck, as well as carbon upper rear arms. 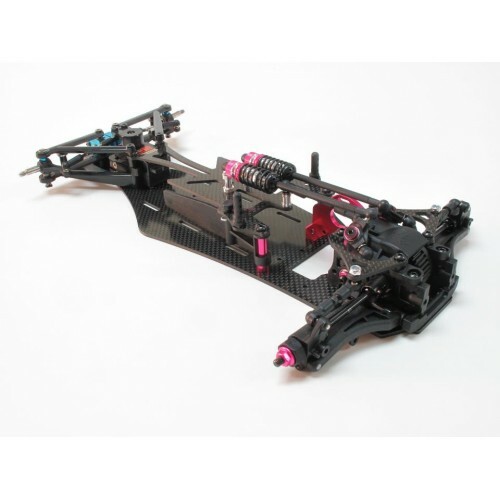 The chassis has a different battery mounting position for better weight distribution and combines the use of the Tamiya F104/F103 front end with the independent rear suspension of the FGX. 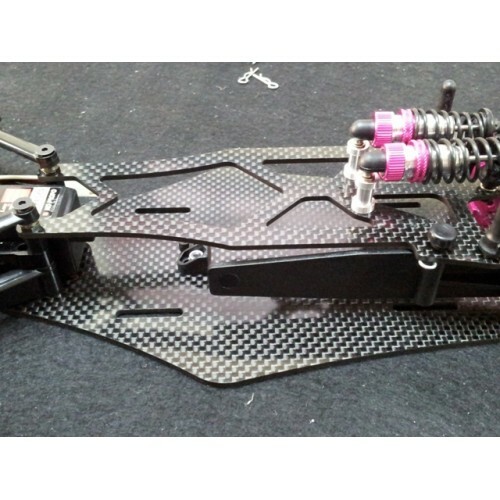 The result is a very durable and stable F1 chassis that can perform on many different kinds of surface. This chassis also will allow the use of the original upper deck. As a direct replacement of the original chassis.